President Obama’s recent military action in northern Iraq to protect American personnel and provide humanitarian aid to civilians besieged by Islamic State (IS) forces has likely achieved its limited tactical effects. Airstrikes have restricted IS’s freedom of maneuver on the ground, and provided a bit of space for Kurdish Peshmerga forces, who appear to be the last best hopeto face IS on the ground. A key factor in the Islamic State’s success is its unfettered ability to stage operations from Syria. News reports this week reveal that IS has established a sanctuary and is operating unchallenged from the Syrian city of Raqqa. 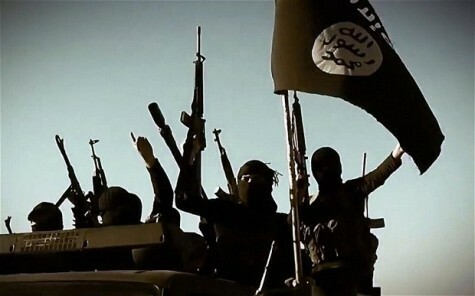 This is where, according to the Wall Street Journal, “Islamic State’s black flags still fly proudly over administrative buildings and living quarters,” and new recruits arrive—with their families—by the busload daily from Turkey. Much of the surplus American military equipment IS seized from the collapsing Iraqi army has also flowed back across the border. By contrast, the international community continues to view conflagrations in the region through the lens of traditional nation-states. IS has taken full advantage of this fact. To the West, military intervention in Syria would be against the Assad government—and subject to a certain set of international norms and laws. Meanwhile, intervention in Iraq is intended tosupport the government, taking place at the invitation of Iraqi leaders. As it remains unchallenged, IS continues to grow. Each weapons cache it seizes and each town it takes only attracts a new stream of recruits from across the region, who continue to flock to join the cause. More Sunnis have been lured by IS’ steady stream of successes and victories. More Westerners have been charmed by the prospect of participating in a global jihad. Finally, IS will continue to adapt. If my August 6 assessment of the captured Al Qaeda letters is any indication, IS will be prepared to fall back on its Syrian territory in order to “retreat and regroup.” IS leaders, carefully attuned to global public opinion, and keen to avoid more airstrikes, may seek to reduce the visibility of atrocities and focus on holding and governing the territory it has – for the time being. Ultimately, as the Pentagon has made clear, IS “remains focused on securing and gaining additional territory throughout Iraq, and will sustain its attacks against Irsaqi and Kurdish security forces and their positions.” As long as IS can operate freely between the Iraq-Syria border, it will continue to grow and strengthen. PreviousIraq Daily, August 14: Is US Pulling Back from Intervention in Kurdistan?